Birmingham City play host to Watford tomorrow hoping to extend their seven match unbeaten run and make a sustained push for the play-off positions. Chris Hughton’s team are back in league action after knocking Wolverhampton Wanderers out of the FA Cup on Wednesday night. Last weekend, Blues hammered Millwall 6-0 at the New Den, a win that temporarily moved them into the play-off positions until Reading won later that same day. Sean Dyche’s Watford arrive at St Andrew’s ten points behind Birmingham in 18th place. This betrays a stubborn determination that runs through the team, as the Hornets have only been beaten three times out of their last fourteen games. Club captain Stephen Carr and fellow defender Pablo Ibanez are both still sidelined with knee injuries, while West Bromwich Albion target Liam Ridgewell is a doubt with a hamstring strain. 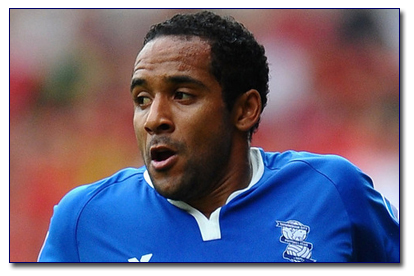 Jean Beausejour and David Murphy are both available despite their clash of heads in midweek. Speaking to bcfc.com, Chris Hughton said: “We won’t underestimate Watford because they’re in good form at the moment. “In Marvin Sordell they’ve got one of the best young strikers around and he is a real goalscorer with both feet. “But I’d like to think that we give everybody who comes to St. Andrew’s a tough game. “Birmingham is still a big name in this division and I honestly feel that teams up their game against us. “We’ve got to make sure that our approach to the game is as professional as it has been all season. “I’ll use the prospect of getting into the top six as motivation, but I probably don’t need to. “It’s been tough for us because we’ve spent all of this season so far playing catch up with games and we’re now only one game behind everybody else. “When we’re on a level footing with the amount of games then you can really look at it and it’s a true reflection of where we are in this division. This entry was posted in BCFC News and tagged bcfc, birmingham city football club, championship football, championship league table, chris hughton, watford. Bookmark the permalink.